Roofing repairs are one of the maintenance services that you can’t afford to ignore. Whether you’re worried about repair costs or don’t think that a leak is broad enough to concern yourself with, all roof issues grow dangerous quickly. While you may only see a missing asphalt shingle, we see areas where moisture and rain can easily enter. Once your home’s interior begins taking on more water, it only creates the potential for mold problems. Instead, Full Draw Construction continues providing the most comprehensive roofing repair service options and affordable pricing, helping more area residents save on the maintenance they require. When you need expert repair contractors that don’t cost a fortune, you need the reliable option to best service your house. Call today for complete roofing solutions. Once you see your free quote, you’ll know you’re getting the best deal possible on more service request needs. Let us know what your needs are in as much detail as possible. No matter what material or style of roofing system that your home relies on for protection, we have the convenient and affordable repair services each time. Our team assists more area homeowners with complete roofing service choices, solving more maintenance and repair problems for less every day. Whether your house continues to depend on the initial roofing system that got built with the home or you’ve since replaced it with a different roof material type, we can provide you with the best repair services around. From traditional asphalt shingles, architectural roofing types, to newer metal roofs, we have the best solutions for more issues each time. When you have visible water intrusion spots on ceilings and in the attic, or you’ve found roof tiles blown onto the ground below, we guarantee that our expert roofing professionals will resolve it all. No one else around has the level of experience nor the affordable rates that we provide on every call. Make certain that your roof stays in good hands when you encounter trouble, no matter your roofing material type. When you choose us for your complete roofing repairs, it means getting the best technicians available at lower cost. Today’s metal roofs are lighter, quieter, and more affordable than ever before. Because most get manufactured from recycled metals, they remain better for the environment. 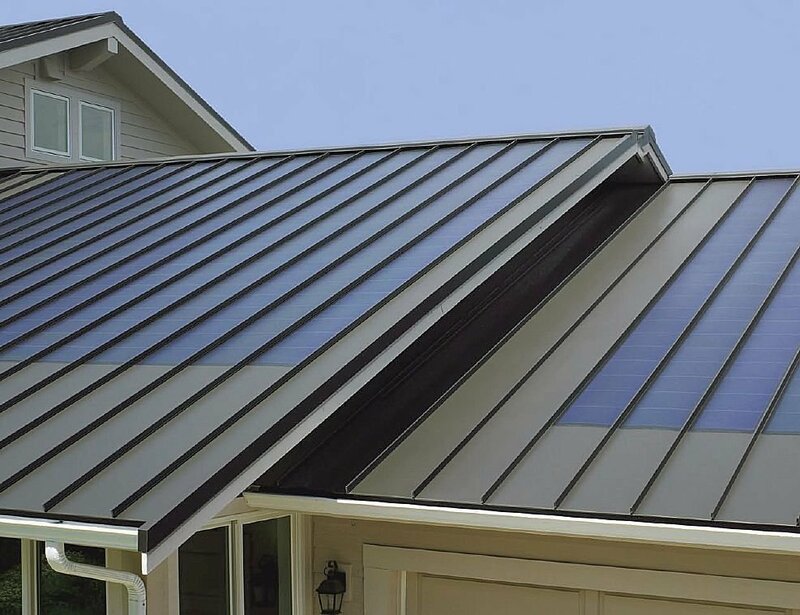 Whether your roof has dented or broken tiles, formed leaks, or your shingle roof isn’t draining well enough, metal is the superior system. Affordable shingles, durable applications, and offered at a cost that is among the most accessible material types, the typical home uses asphalt shingle systems. Although these roof types can last as long as 20 years of dedicated service, they are often prone to minor leaks and structural cracks. Architectural roofing shingles are far denser, yet offer the best in water protection, over other material types. These roofing shingles are comprised of durable fiberglass and coated in ceramic, offering prolonged protection for many years. When you need the best in roofing repairs, you need Full Draw Construction.